Chinedu Okoli (born 23 November 1983), better known by his stage name Flavour N'abania is a Nigerian singer, songwriter, multi-instrumentalist and performer. He began his musical career as a drummer for a local church in his hometown of Enugu State. 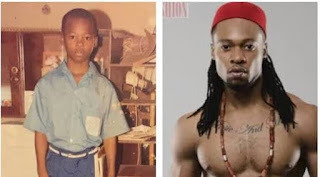 Flavour is popularly known across Africa and the world for his hit song "Nwa Baby (Ashawo Remix)". He is currently signed to 2nite Entertainment.